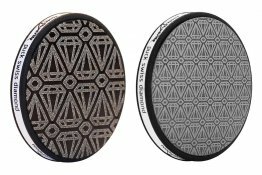 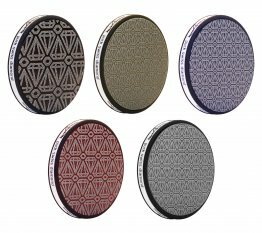 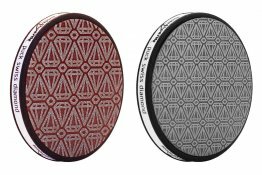 Tools4Boards single-sided Puck and double-sided Puck Duo ski and snowboard diamond discs feature premium Swiss-made diamond sheet mounted on exceptionally flat precision die-cast aluminum alloy backer. Polishing and deburring ability of a stone combined with the cutting ability of a file. 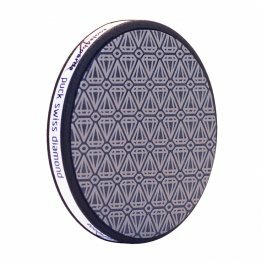 Perfect for touching up edges and removing burrs on-hill or to smooth and polish edges after filing. 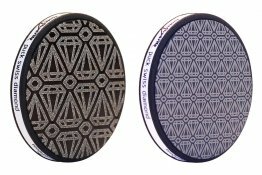 Extra thick 7/32" (5.5mm) Puck backer dampens vibration providing superior feel and will not flex or roll over dulling the cutting surface of the ski or snowboard edge. Color-coded diamond sheet makes it easy to select the proper grit - Black = 100 x-coarse, Red = 200 coarse, Yellow = 400 medium, White = 800 fine and Blue = 1500 x-fine. Unique diamond cluster pattern lasts longer than conventional diamond sheet and is easier to clean. Available replacement Puck Diamond Sheet fits all Puck backers, simply peel worn diamond sheet from backer, position and stick replacement sheet in its place.